After his Oscar-winning success with “Get Out,” Jordan Peele could have done virtually anything. Not only did he produce another Oscar winner in Spike Lee’s “BlacKkKlansman,” and prep his brilliant sophomore feature in “Us,” he resurrected one of the best TV shows of all time in Rod Serling’s “The Twilight Zone,” which premieres in April on CBS All Access. 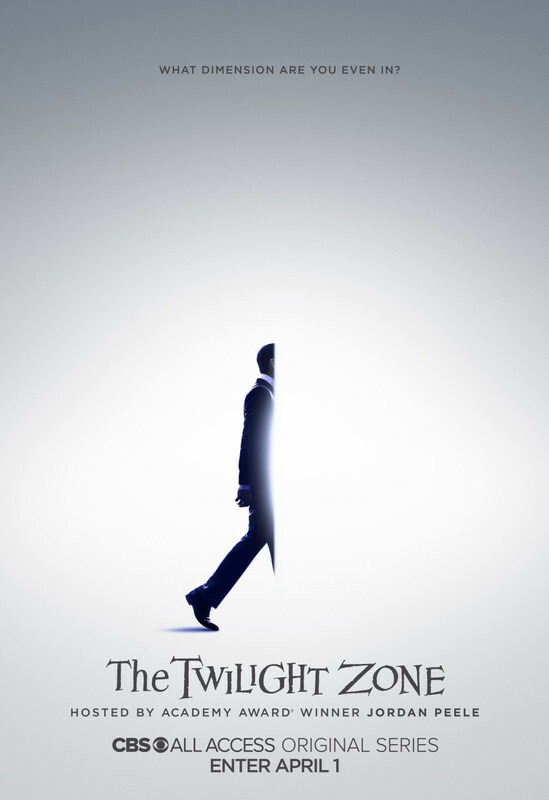 With stars like Kumail Nanjiani, Steven Yeun, Adam Scott, and Sanaa Lathan, and collaborators like Ana Lily Amirpour and Glen Morgan, Peele steps comfortably into Serling’s shoes, updating “The Twilight Zone” for a new generation. And yet one does not need to wait until April to jump into Peele’s vision of “a dimension as vast as space and as timeless as infinity” as “Us” shares DNA with Serling’s creation too. In many ways, “Us” feels like the thematic connective tissue between “Get Out” and Peele's "Twilight Zone" reboot. 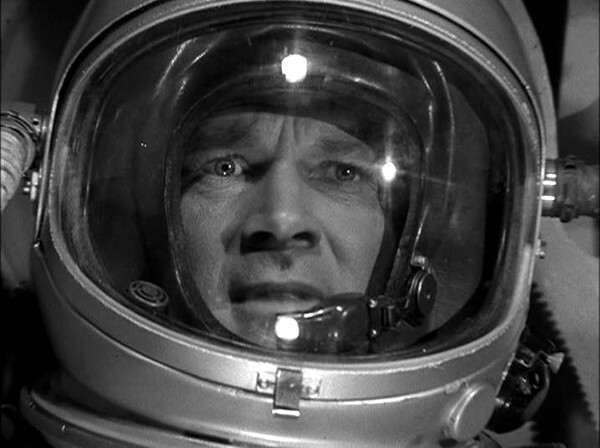 You can create your own path from “Us” to “The Twilight Zone” with five classic episodes of the series. “Us” hinges on a terrifying proposition that would have made Serling smile. The Wilson family, led by Lupita Nyong’o’s Adelaide and Winston Duke’s Gabe, encounters their doppelgängers, shadow versions of themselves. Treading lightly in the world of spoilers, “Us” becomes a commentary on how we are our own worst enemy (I almost prefer to spell it “US,” as in “United States”). Man’s capacity to destroy itself and unwillingness to reckon with its own flaws is a consistent theme of Serling’s vision. Peele adds a racial element to this construct, whether it’s the literal ownership of black bodies in “Get Out” or an episode of the new season of “The Twilight Zone” about a racist cop. He's said that “Us” isn’t directly about race, but with its story of an uncovered past that has remained hidden until it's dangerous, it is certainly about the issues that we are unwilling to reckon with as Americans until it's too late to do so. Consider the path from Peele's dark comedy work in “Keanu” to the hybrid of “Get Out” to the horrific “Us” to his upcoming take on “The Twilight Zone,” and it looks like a brilliant series of determined, considered steps by Peele, leading to a stunning career. Rod Serling held up a mirror to society, asking us to look at stories of the impossible and see the relatable. Almost six decades later, Jordan Peele has picked up that reflective surface, and through his film and upcoming TV show, asked us to see ourselves in a new way. Watch these five episodes to really see how they reflect each other. 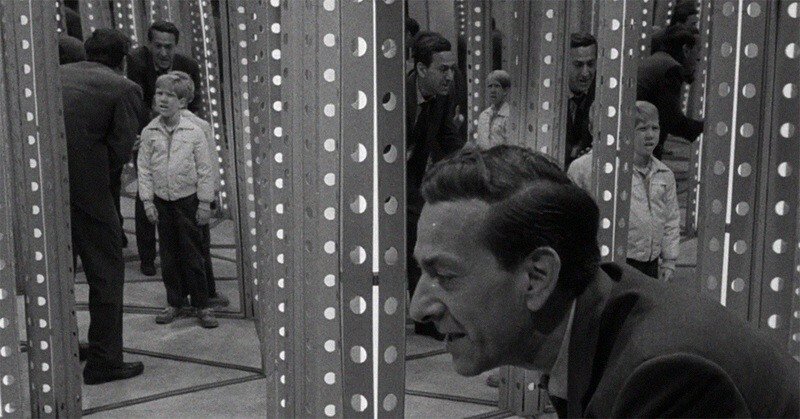 The house of mirrors that young Adelaide wanders into in the terrifying opening of "Us" recalls the climax of “In Praise of Pip,” in which Jack Klugman’s father searches for his son amidst a maze of reflective glass. It also has echoes of the way Peele plays with alternate realities. Pip is the name of Klugman’s son, one who is serving in the war and is about to die. Klugman imagines seeing him at a carnival and runs after the boy that he knows will never return. An episode that also feels like it inspires Peele’s upcoming episodes in the reboot entitled “The Comedian,” this season four chapter features an astronaut returning home only to find that things have changed ever so slightly. The picket fence that lines his house wasn’t there when he left. He’s now a Colonel when he left a Major. And then he learns that no one has heard of JFK. Of course, “Us” takes place very much in our own plane of reality but the bulk of its horror comes from something like an alternate one suddenly overtaking reality. Serling loved alternate universes, and “Us” contains a little of that DNA. Alternate realities arise again in this episode about a man who wakes up to find that no one recognize him at home or at work. It’s almost like the inverse of a doppelganger as the man goes not from one to two but from one to zero. The ‘80s reboot doesn’t have as many classic episodes as Serling’s original but this series premiere stands out. In the Wes Craven-helmed chapter, Bruce Willis plays a man who calls home and hears his own voice pick up the other end.